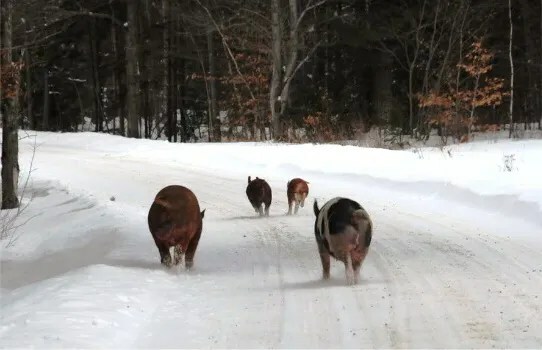 This entry was posted in Community Supported Agriculture and tagged cruelty-free farming, pigs, sheep. Bookmark the permalink. Hello, Gellert! So glad to see you doing so well. I knew you from the very day you were born. And he was well-raised and arrived well-adjusted too! 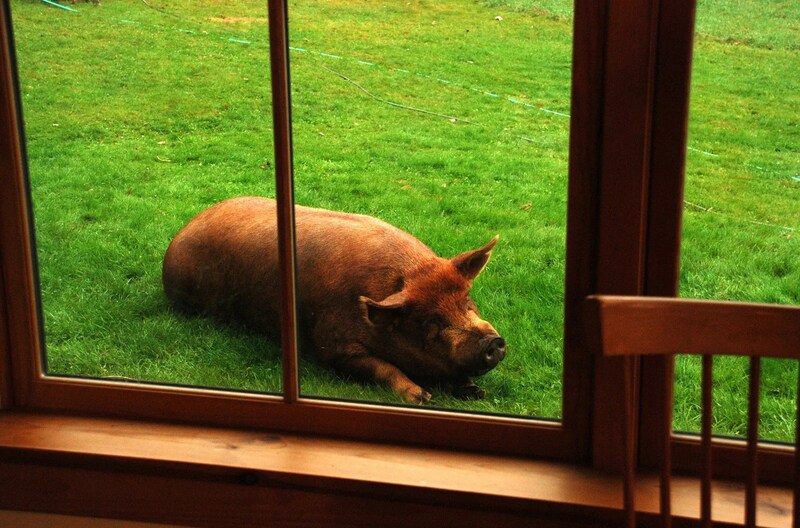 Not too many boars are safe to “wander” around someone’s house. If fact most people would, appropriately, find the prospect a bit terrifying. 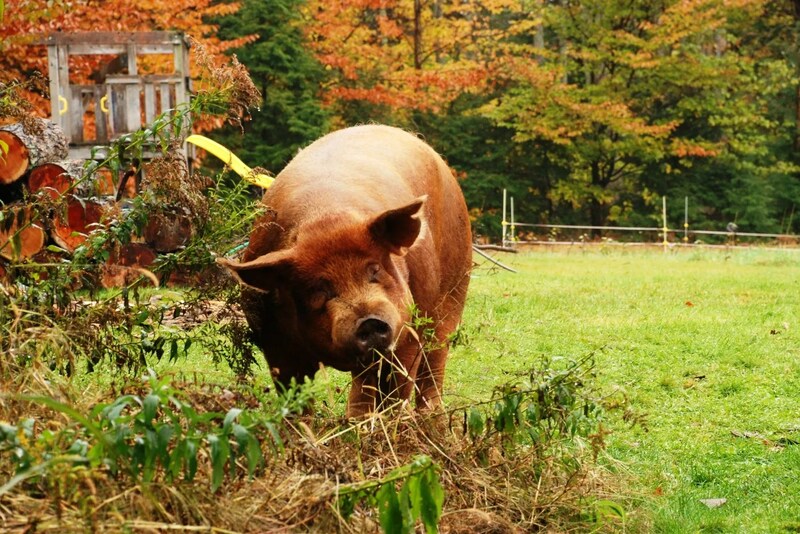 Although gardens, other pig fences or unlocked food experience extreme peril if Gellert ambles past, he is friendly to all and especially to anyone who will scratch his ears or offer him an apple. That’s my boy! So glad to see him so well taken care of and happy. And big! Thanks for stopping by to see him. Took my son and husband to Craftsbury C. today. I had not been to Sterling for 28 years and was amazed to find it almost exactly the same. Tried to track down Will….found his new home and lovely wife. Talked to Rob and he helped me track you down by giving me your new name. Love your farm name and photos!